This is a one of a kind official shirt, the only shirt slogan created so far by Godfrey Sullivan. (A few of his other proposals didn’t make it past Lenny Stein). A play on the classic Take the sh out of IT, as well as double entendres on himself and the CEO position. 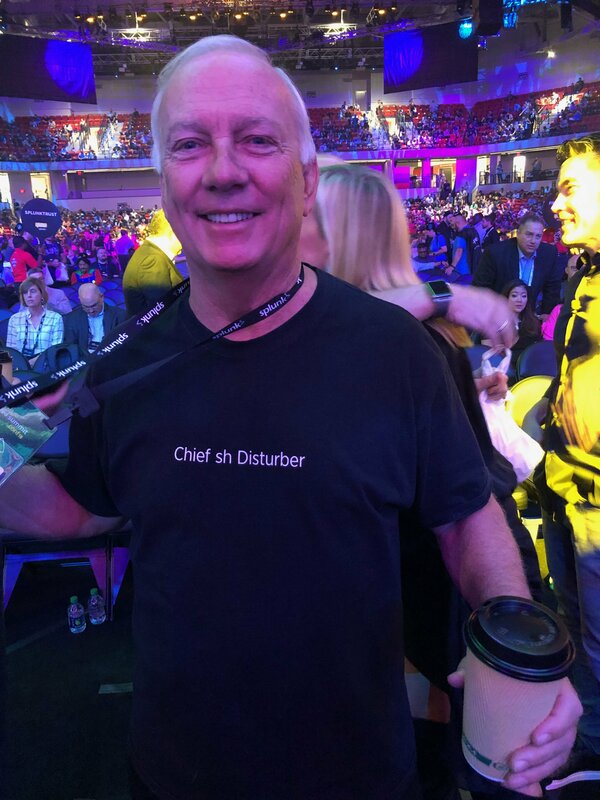 Currently Godfrey is the only one authorized to wear this shirt, and you may catch him wearing it at .conf, but along with the passing of the CEO position, this shirt might be bequeathed to Doug Merritt, if Doug doesn’t come up with a shirt of his own.